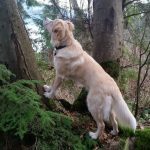 At 8pm on Monday November 20th Coquitlam SAR was activated by Coquitlam RCMP for missing 56 year old dog walker Annette Poitras on Westwood Plateau in Coquitlam. This search, which began as so many searches we handle, ended three days later with the successful rescue of Annette and the three dogs. What follows is a short summary of the search and our thanks to all of the people who contributed to the successful outcome. 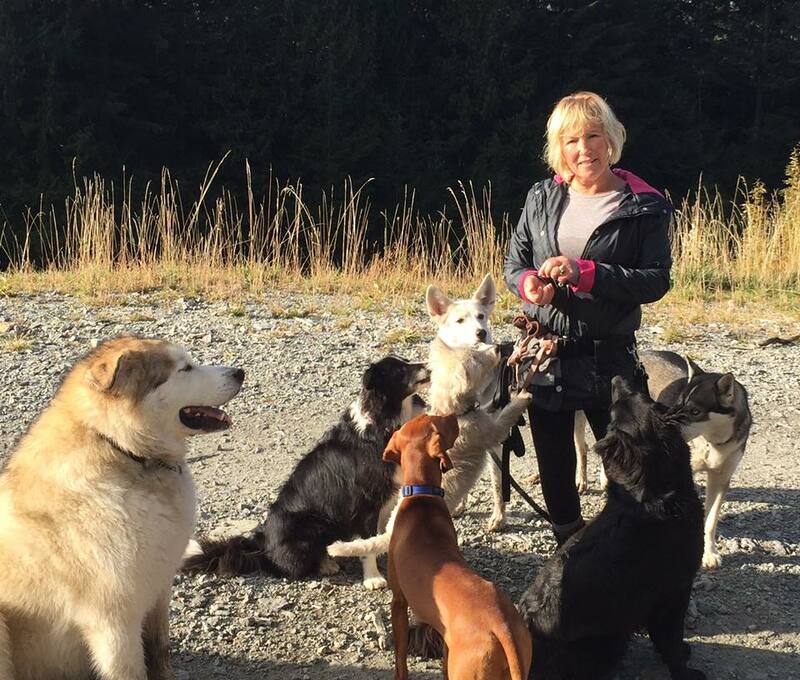 Annette Poitras with some of her client’s dogs. As the report came in, we realised that this was a fairly urgent search. Annette is a professional dog walker, and while she was dressed for the conditions and is quite fit, as is typical for people walking dogs, she was not prepared for over night. We knew that the night was cold, but the forecast also called for a very significant storm that would make searching very difficult. We started with a full team call out, and set up our command centre at Hampton Park Elementary on Westwood Plateau. The backcountry around Westwood Plateau is rugged and cris-crossed with trails, power lines, old roads, dirt bike tracks, pipelines, and mountain bike trails. To the west is Eagle Ridge, and to the east is several gravel pits and the Coquitlam River. To the north is the Coquitlam Watershed. 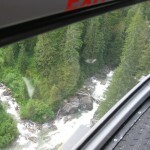 Our initial search involved sending teams through the trail network. We employed a technique known as a “sound sweep” – basically using whistles to make noise to attract Annette or the dogs. At the same time we were working with Coquitlam RCMP who provided a search dog, and were interviewing Annette’s family and her clients. She had three dogs with her; Chloë, her own Border Collie, Roxy, a young boxer, and Bubba, a “Puggle” or a Beagle / Pug cross. Our hope was that the three dogs would keep her warm as well as increase the chance that we would locate her. 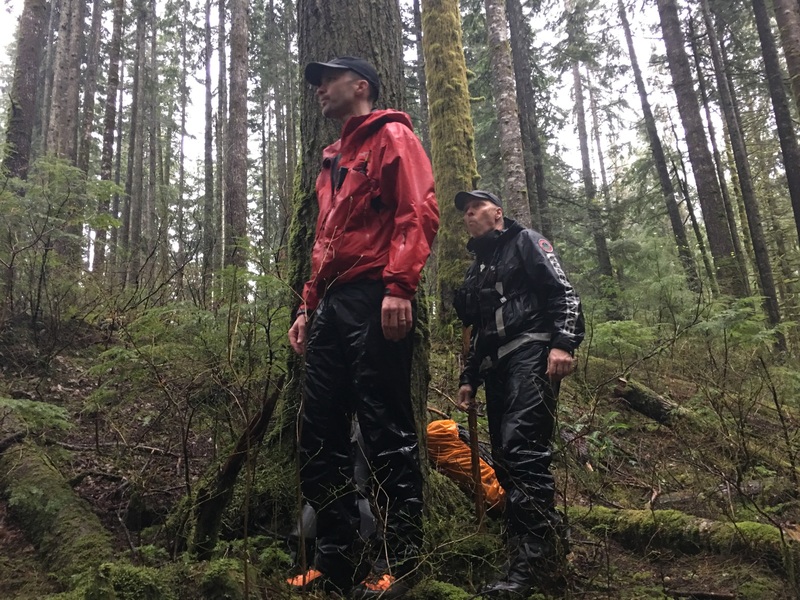 As Monday night became Tuesday morning, we began requesting adjacent SAR groups for assistance and planning for the search to continue through Tuesday. 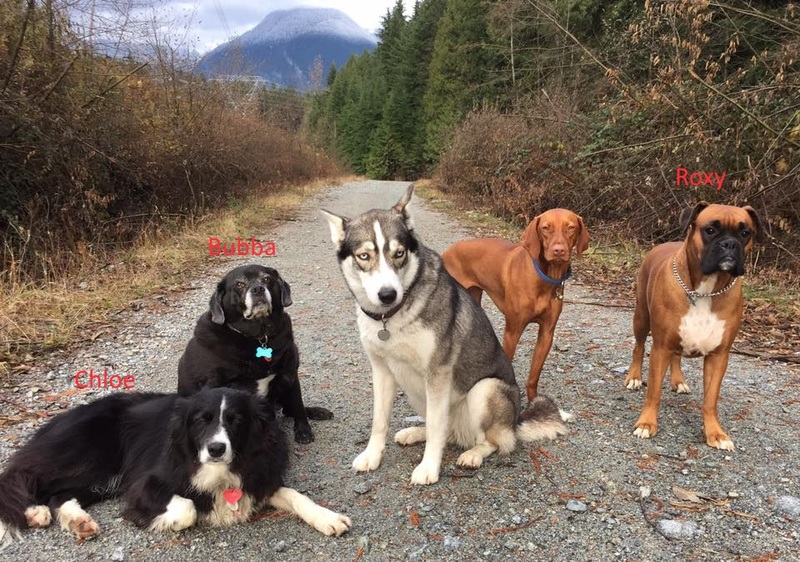 The dogs who were with Annette: Cloe and Bubba on the left and Roxy on the far right. Day 2 of any search sees an increase in intensity. The urgency is higher, and there’s more people and media attention. 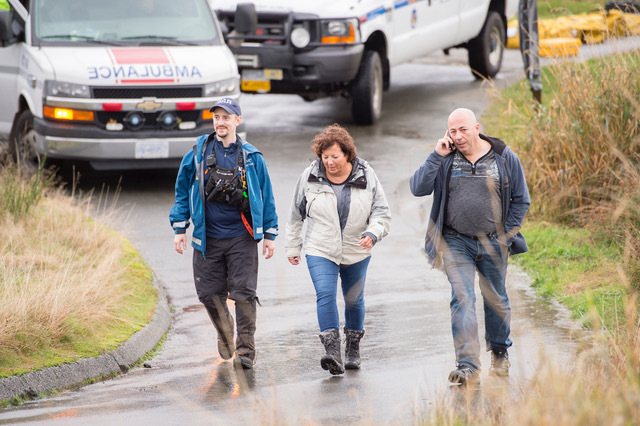 Our command centre was moved to the lane at the end of Plateau Boulevard to put us right where Annette was last seen. Areas covered the previous night are often re-searched in daylight. Daytime searches also allow us to send people off trail into areas where you cannot hear sound sweeps. 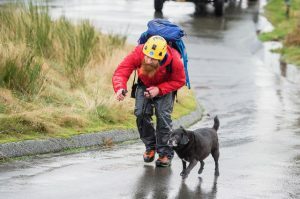 Unfortunately, the forecast weather system hit with full force at 6am, so our search was hampered by heavy rain and wind. 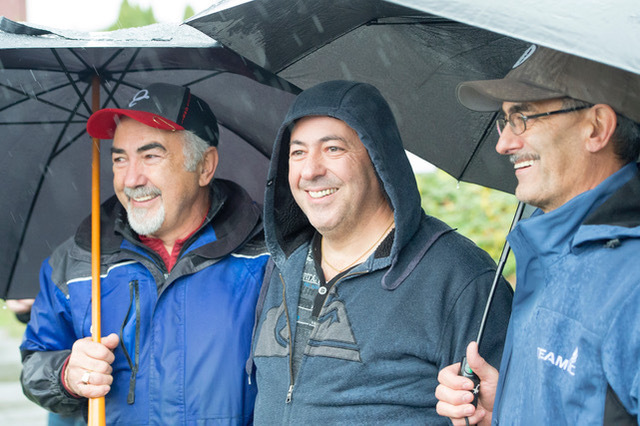 The rain made travel difficult and made it very hard to hear – making our sound sweeps less effective. 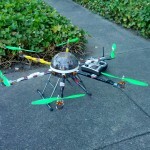 This also prevented us from activating a drone, and made some of our helicopter searching less effective. 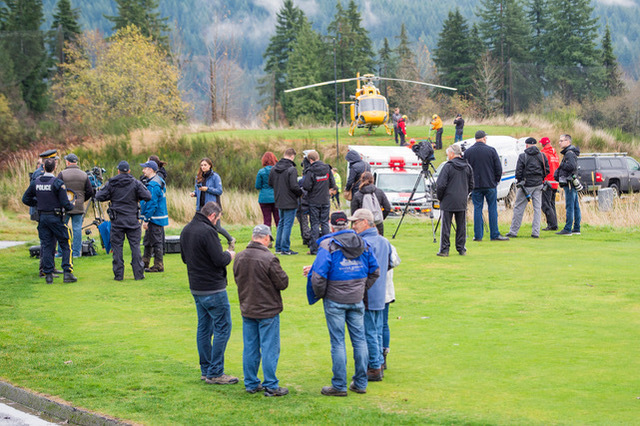 Searchers arrived from throughout the Lower Mainland and the Sunshine Coast to assist. As the search progressed, it became apparent to the management that Annette could not be in the trail network to the east as those areas had been covered very well. The areas to the north, which we had been searching since Monday evening, became higher priority. 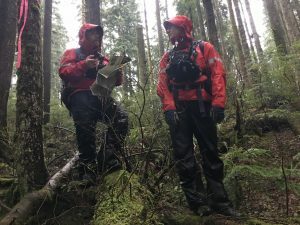 Because of the lack of trails in this area, the the team was using “Type 2” search techniques where groups of SAR members walk in a line spaced between 10 and 20 meters apart, doing a sound sweep. 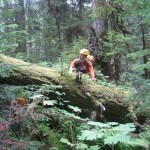 This kind of searching is very difficult as there are no trails, and can be very intensive. Near the end of the day the decision was made that it would be too dangerous to continue searching through the evening and the difficult decision to halt the search for the night was made. Throughout Tuesday, our planning unit was preparing to continue the search on Wednesday, and the day began with close to 100 people converging on the Westwood Plateau Golf and Country Club who allowed us to used their parking lot and buildings for the day. 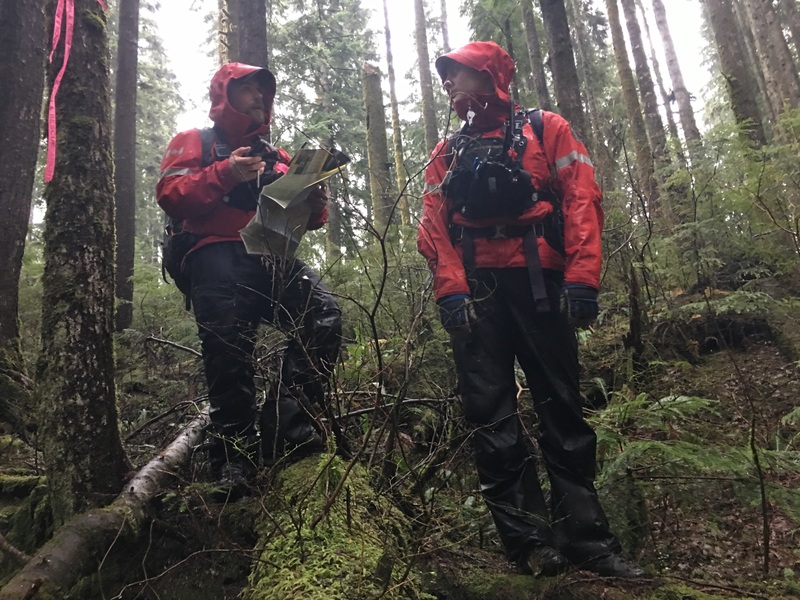 89 SAR members from 19 different groups, along with members of the RCMP, Coquitlam Fire Rescue and other city support staff assisted the team in putting together a command area that would effectively get volunteers briefed and out searching. Two helicopters and three dogs were employed in the search and the primary area north of Annette’s last known position was covered. 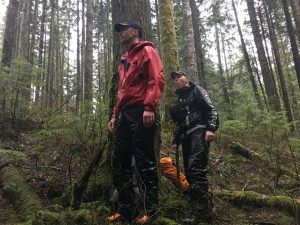 At approximately 11:35am Annette and the three dogs were located by a team of five volunteers including two members of Coquitlam SAR, Aidon Pyne and Darren Timmer, along three volunteers from nearby SAR groups. Annette was determined to be in good condition considering the two nights she’d spent in deplorable conditions, although she complained of injuries to her back. 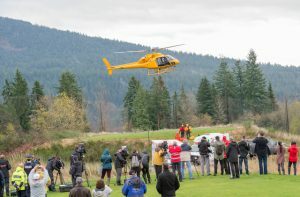 Over the next hour and a half Annette, the dogs and most of the SAR volunteers were rescued by helicopter long line to the golf course and Annette was take to the hospital for treatment. 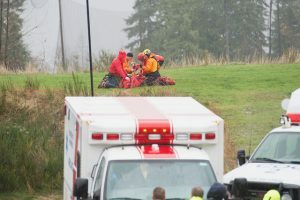 Several of the SAR members had to walk out. 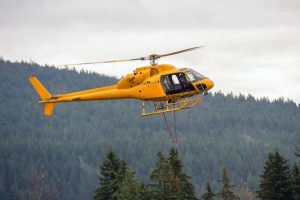 Annette was found approximately 1.5 km from her last known position, about 500m north west of a BC Hydro access road under the power lines, inside the Coquitlam Watershed. 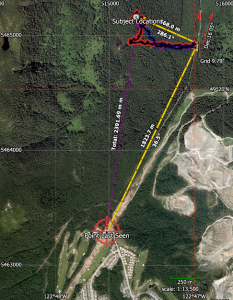 The area where she was found was very marshy and quite far from any trails. The map to the right shows the tracks of the team who found her. This team reported the terrain to be very rough and they took over an hour to reach her location. 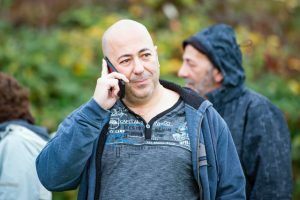 She was found using sound sweep – she called back to the team after hearing their whistles, and the dogs barked as well. Annette told us that she had chased after one of the dogs who ran into the bush, and got turned around. In the process she lost her phone, and became injured. After this she could not move effectively. She managed to shelter partially under a log and the dogs provided some warmth. Given the location we would not have expected her phone to work. 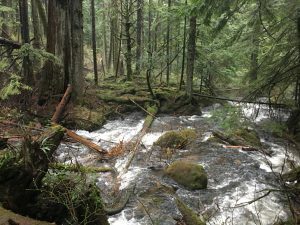 The one thing that any hiker, dog walker or anyone who spends time in the wilderness (and believe us, this area of Coquitlam counts as wilderness) is to leave a trip plan. Neither Annette’s husband nor any of her clients knew where she was when she took the dogs for a walk. You might not think that walking your dog can lead to spending three days shivering under a log, but it can happen to anyone. The other major thing that any hiker or walker can do is to bring a little extra gear with them all the time. A flashlight, extra clothing, a safety blanket, and a signalling whistle. To read more about the things you should take with you see our article on the Ten Essentials. 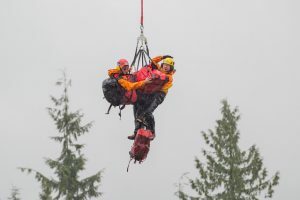 A Search and Rescue team is only as good as the community that supports it and Coquitlam SAR is incredibly fortunate to have a very strong community. We maintain our level of training, and equipment for incidents like – a “worst case scenario” of a large, multi-day search. In particular, our Mobile Command Centre, which was dedicated a year ago on Monday, is one of the assets that our community helped build. Inspired by the events of a 2012 search at Sasamat Lake, members of Coquitlam SAR began the process of designing and building a new mobile command centre in 2013. It was only through the support of our community that we achieved this goal, so our first thanks is to you. This search attracted a lot of media attention with syndicated reports appearing as far afield as the BBC. Here is just a sample of the reports from this search.